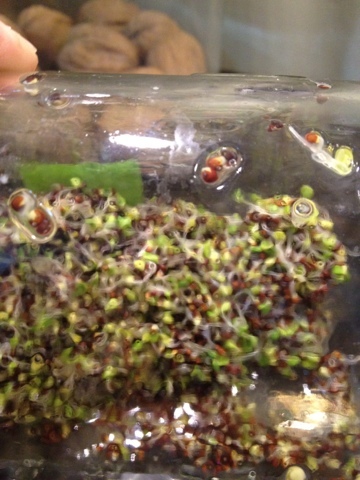 I was asked recently how I grow my sprouts, so I thought I would share. 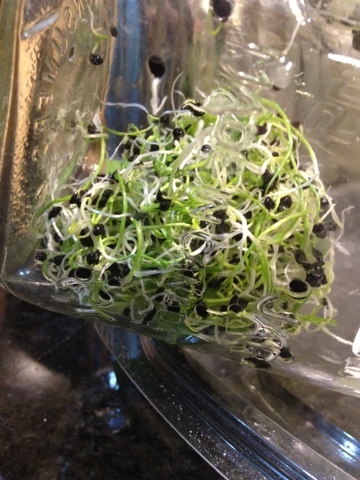 Sprouting is an easy and healthy way to add fresh greens and vitamins to your diet. Plus it's something you can do even if you live in a tiny city apartment! 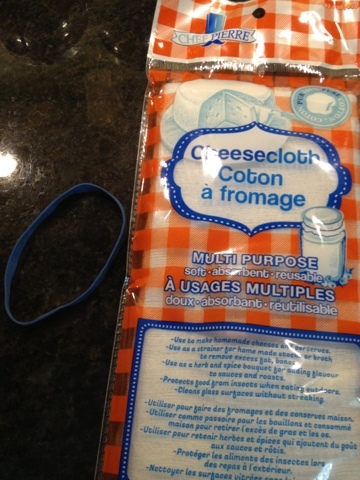 First you need some good sized mason jars, cheesecloth, elastic bands and sprout seeds. You can buy sprout seeds online. I like broccoli, onion and watercress. 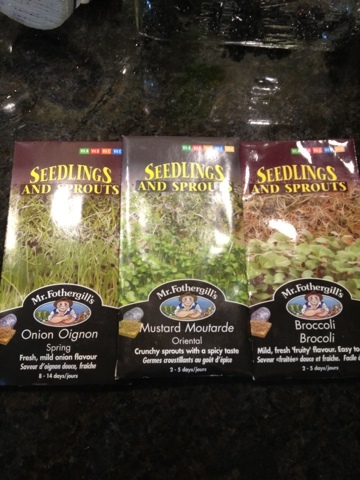 But there are all sorts available if you google sprout seeds. I used three kinds this time. I picked these up at home depot in the seed department. The mustard should be interesting! Next. 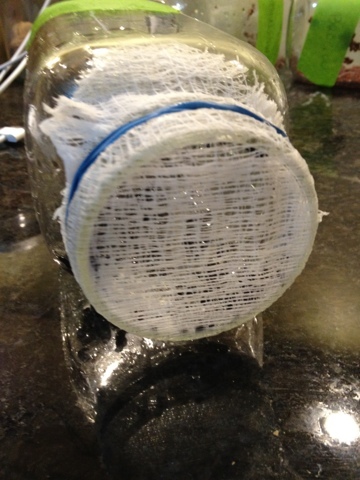 Put the seeds in the jar and then cover the top of the jar with a double layer of cheesecloth and use the elastic band to secure it. 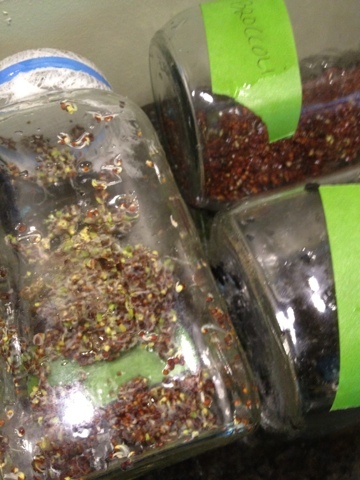 Now fill the jar with water until the seeds are completely covered and leave it on your window ledge for 24 hours. For me that was until suppertime the next day. I like to time it to suppertime because then I remember to rinse my sprouts. And that's what you do. Every 24 hours fill the jar with water, swirl it around and drain it out. 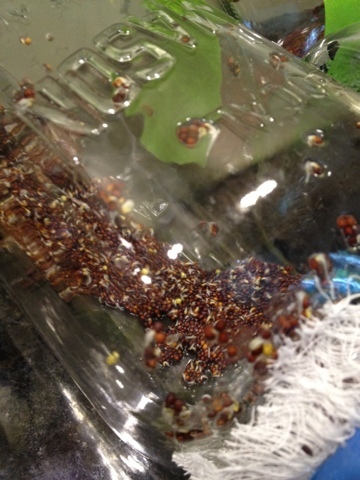 The goal is to wet the seeds. Here they are on day two. See how wet the broccoli were? They are the one on the left. Oops. Always tilt your jar. And day 6. This is the onion. Use them in salads, wraps, or just eat them! They are nice and crunchy, and really yummy.